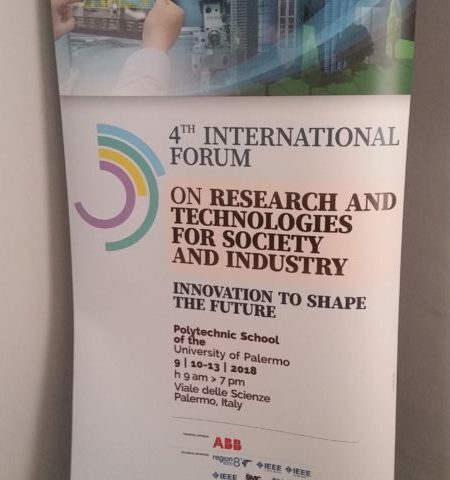 IEEE Italy section has organized the 4th International Forum on Research and Technologies for Society and Industry (RTSI 2018) in Palermo from Sept. 10 to Sept. 13. I was there presenting our research results regarding 5G services for mobility and safety of vulnerable road users and the network slicing technique to be used in core networks for supporting such services. Good to know that IEEE Italy is the third in terms of IEEE members (approximately 5k) of the EMEA basin (after UK with 10k and Germany with approximately 6k) a valuable community for exchanging ideas on what basic technologies are more suitable to support the digital transformation in Italy and in the rest of the world. Thanks to the organizers of such a valuable conference. Oct. 22, 2018 – I will be speaking in the panel “The city that we expect in the future” at the event Focus Live on Friday Nov. 9 at 6.00pm in the Museo di Scienza e Tecnologia in Milan, Italy. Sep. 11, 2018 – I will chair the PIXNET opening session on Monday Sept. 17 at 10.00am in the Blue Room, TeCIP Building. Welcome to all incoming PIXNET students!